Here we regularly update you on our most recent wedding catering gigs in Melbourne and Victoria. We also like to tell you about other Melbourne mobile food van catering events we're making friends at. 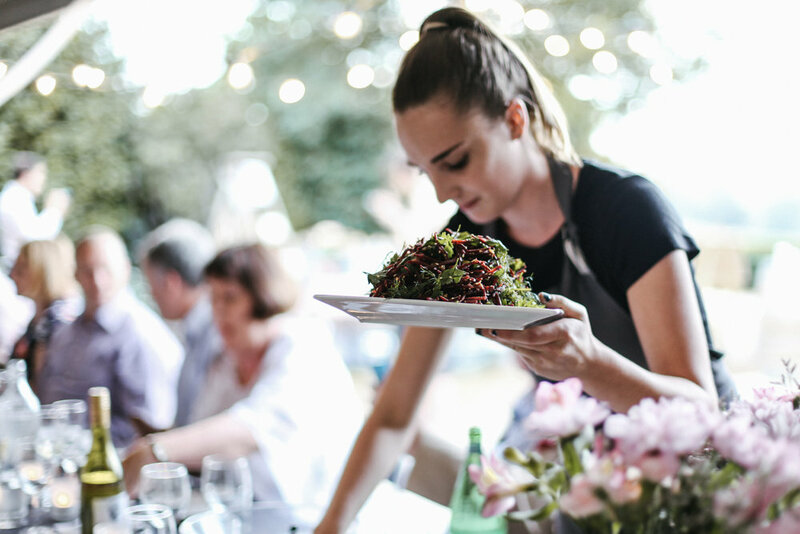 The wedding season has started a little later for us here at Fat Cats food van and fancy catering, with heaps of wedding catering coming up across Melbourne in February and March 2017. This is where we really get to put the fancy in fancy catering. We're also taking the van out for a spin for most of these super cool Melbourne weddings. We are so excited to be catering these events and look forward to bringing you a series of blog posts about them. If you're looking into having Fat Cats cater your Melbourne wedding, we suggest first checking out our fancy cocktail, fancier cocktail and wedding shared plates menus for some inspo. We've also served our taco feast at engagement and weddings and it's super yum and fun. Then, get in touch with Top Cat Adrian for a purely personalised approach. It's Adrian's mission to make sure you have a menu that is just right for you and your budget - and one that will knock the tastebuds off your guests! (in the best way possible). We also love to travel so if you're planning an out of town wedding or event, Fat Cats provide wedding and other event catering to the wider Melbourne region - the van just loves getting on the road.